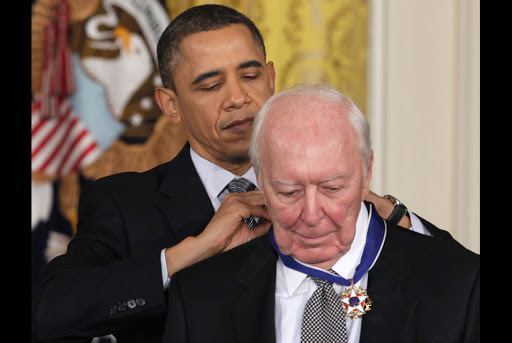 Jasper Johns received the Presidential Medal of Freedom, the nation’s highest civilian honor, on February 15, 2010. The famous artist was among 14 individuals who President Obama said “reveal the best of who we are and who we aspire to be.” Other recipients included former President George H.W. Bush, Yo-Yo Ma, and Maya Angelou. For a complete list and more information vista artdaily.org. Next Next post: Next Chapter in the Seaport Museum History?